Say Again....? We have a Jurassic Park Jeep. Well, its official! 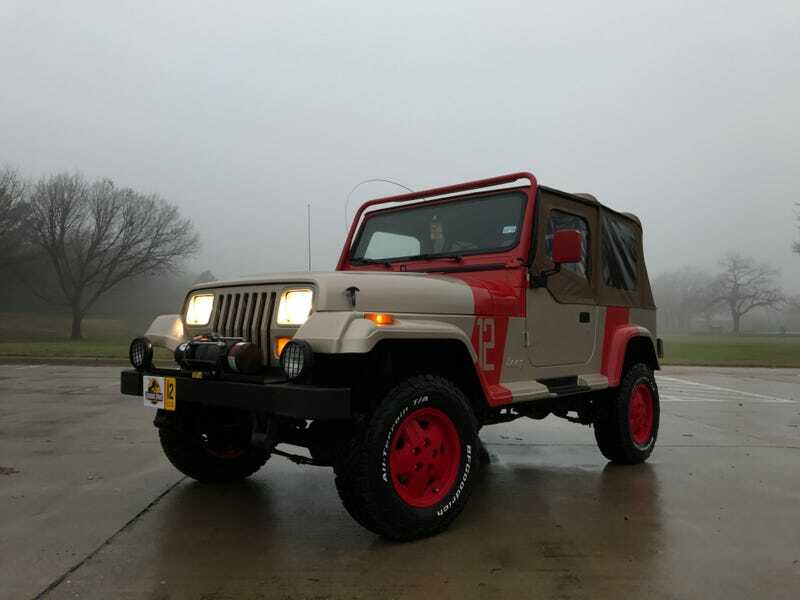 I’m the proud owner of Jurassic Jeep 12! (almost). Still need to apply decals tonight, lower it back to stock, and install the 4 Jabsco Marine Boat Lights on top. But we’re almost there! Over the weekend I put the bumpers, whip antennae, winch, and soft top on. Then took a day to rip out the old interior and put in freshly steamed Sahara carpet. Can’t wait to throw all the decals on tonight!